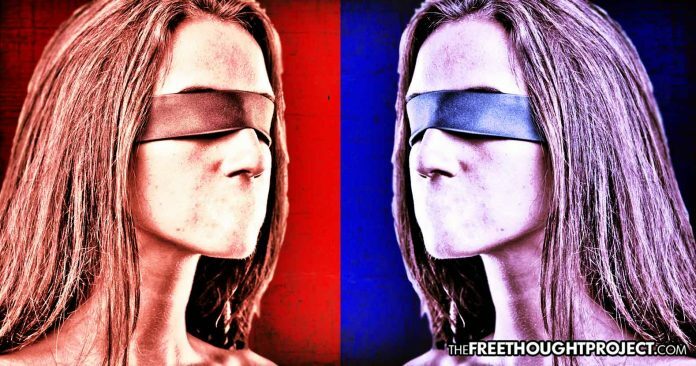 To stop the flow of information they disagree with many on the left and the right are begging to be forced into silence by tech giants and government. America is embarking down a deeply troubling path in regard to publishing, sharing, and consuming information. The end of this path is something that tyrannical regimes throughout history have fought vigorously for as it allows them to control the public narrative and ensure ideas that challenge their rule are stomped out of existence forever in a brutal campaign of censorship. Because we all know what censorship is and the darkness to which it leads, one would think that all free societies would oppose it. However, one would be wrong. This week, we watched tech giants like Facebook, Google, Apple, and Spotify wipe the vitriolic Alex Jones from the face of their platforms. The power of these four companies wield to effectively wipe out an entire organization all within a 12 hour time frame is as immense as it is chilling. Sadly, because Jones was so vitriolic, this ominous precedent was carried out without resistance and with overwhelming support. As TFTP reported earlier this week, Jones pushes anti-Muslim rhetoric, plays right along with the two-party paradigm, and serves as little more than a cheerleader for the current president, all while stoking divide all the way along. His words are often hateful and he sometimes spreads outrageous conspiracy theories. If you don’t like what Alex Jones is saying, do what the majority of people in this country do—don’t listen to him. When you move to silence someone because you disagree with what they say—because it offends you or hurts your feelings—you become an enemy of free speech. This is exactly what so many on the left are doing as they cheer on the silencing of Jones. But it’s not just the left, the right keeps getting their feelings hurt too, and, according to a new poll, they want the president to shut down entire media organizations. According to a recent poll by Ipsos, a whopping 43% of Republicans want to give the president the power to shut down any media outlet they would like. According to the poll, Republicans agree “the president should have the authority to close news outlets engaged in bad behavior.” Ironically enough, 12 percent of Democrats agree, along with 21 percent of independents. This is no conspiracy theory either as both the left and the right—including the president—have pondered carrying this out. Unable to think outside of immediate emotional reaction, those who call for giving the government such ominous powers of media control clearly fail to realize that the next president—who could be their political nemesis—would inherit this power and wield it over them. The result of such dictatorial control over the flow of information is the end game of tyranny. As we are witnessing currently, this tyranny is being ushered in with thunderous applause from the left and the right because they find certain information offensive or damaging to their party. The answer to stopping people from lying and spreading false information online is more freedom—not less. Before the days of the internet, people were beholden to the information given to them by the mainstream press and the government. The horrors of such a controlled flow of information materialized into full on war, literally. As TFTP reported last week, the NY Times and the Washington Post both ran articles echoing the false information given to them by the government at the time on the Gulf of Tonkin, which subsequently kicked off one of the worst wars in the history of the United States—all based on lies. Now, thanks to the internet, those who would deceive the masses have a harder time doing so because of the unfiltered flow of information. No one here is arguing that there isn’t a slew of misinformation out there which cloud the waters, but it is our job as a free thinking individual to sift through it—not Facebook’s, Google’s, Apple’s, Twitter’s or the government’s. To affect true change and foster a real awakening, we do not need to censor or otherwise destroy information. Instead, we need to become more vigilant by critically questioning all information and thinking for ourselves. Those who advocate for anything else than the unfettered flow of information are doing nothing other than advocating that you think just like them. They want you to be apart of their collective so they can wield their influence over you and thus garner support for their agenda. But what if their agenda is wrong? Ideas must be debated, they must be challenged and they must prove themselves in the court of public discourse. Allowing a single group of companies or government to decide which ideas you see and hear is not only a slippery slope to tyranny, but it’s a death blow to critical thinking and innovation of information as we know it. Unless inciting violence, the right of the people to share ideas—no matter how repugnant—is not something that governmental authorities should have the ability to censor as it is seemingly the most basic of all natural rights. Next time you claim that someone shouldn’t be able to say something because you disagree with it, remember that you will be complicit in the hellish police state that you so desperately begged for.